We offer both cross country (10km) and downhill (7km) trails for all level of riders. You can enjoy riding the trails up and down or use the lift to transport you and your bike to the top. There is something for everyone including a great BMX pump track at the top of the hill. 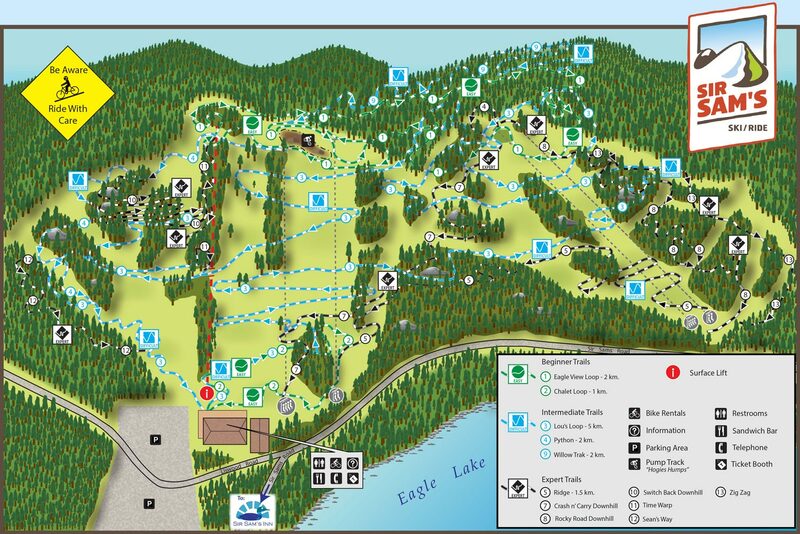 Haliburton Highlands, this downhill course is located at the Sir Sam’s Ski Area.